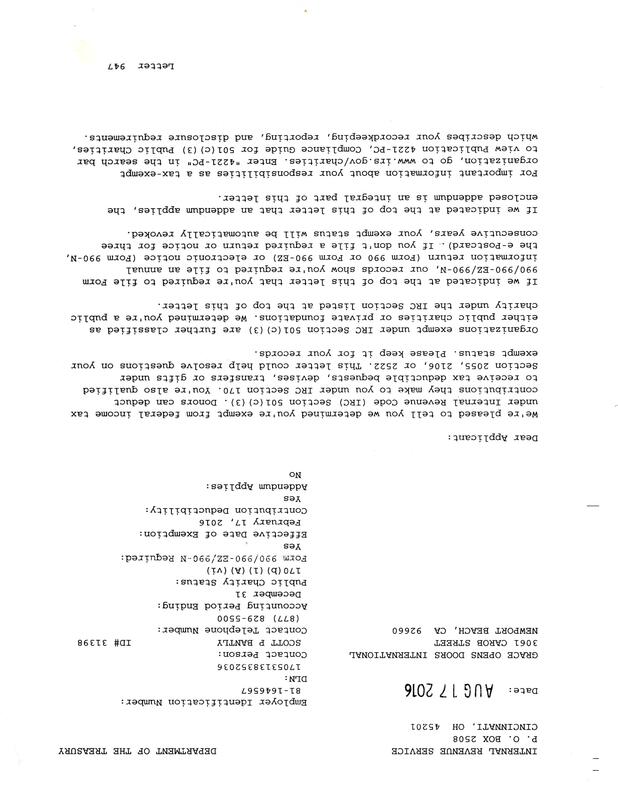 Grace Opens Doors Charitable Foundation is exempt from Federal income tax under section 50l(c)(3) of the Internal Revenue Code . Contributions to Grace Opens Doors are deductible under section 170 of the Code. We are also qualified to receive tax deductible bequests, devises, transfers or gifts under section 2055, 2106 or 2522 of the Code. A copy of our determination letter can be found here.